One common problem found in golfers is not having the required flexibility to get into good positions in the golf swing. Not being able to use the right arm effectively is one of the main problems I see, the right arm is important for creating a powerful and controllable swing path on the backswing and even more importantly, the downswing. This makes it very difficult to get into a good position at the top of the backswing and usually ends up with the right elbow pointing behind you too much (for a right handed golfer) instead of being more down towards the ground. 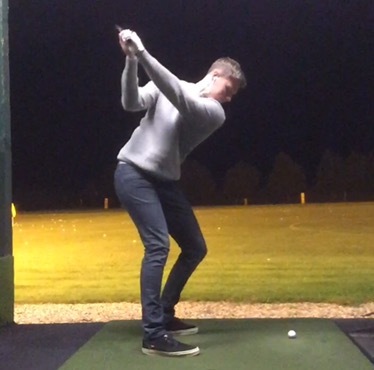 It also makes it very difficult to get the right elbow in front of the right hip (right handed golfer) on the downswing and shallowing the plane, getting this move right prevents the club from getting too steep or getting ‘stuck’ behind you, 2 situations that make consistency very hard to achieve! Increasing shoulder mobility can be achieved with some very simple stretches, I will show you some effective stretches for the shoulder and surrounding muscle groups that can hinder the mobility. 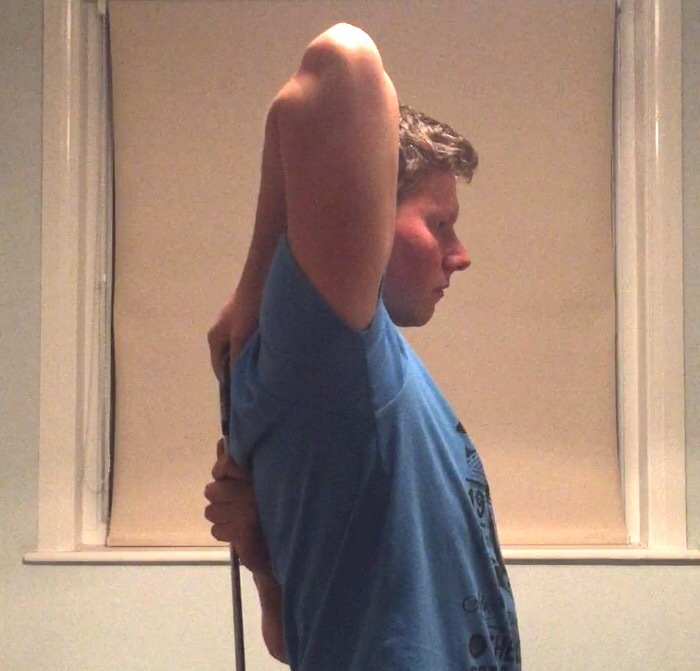 Behind your back shoulder stretch – I perform this with either a towel or a golf club but you can use anything you see fit, with one arm behind you from below and the other from above, attempt to touch both hands together. Holding a golf club in both hands is great because you can slowly inch your way to a deeper stretch. 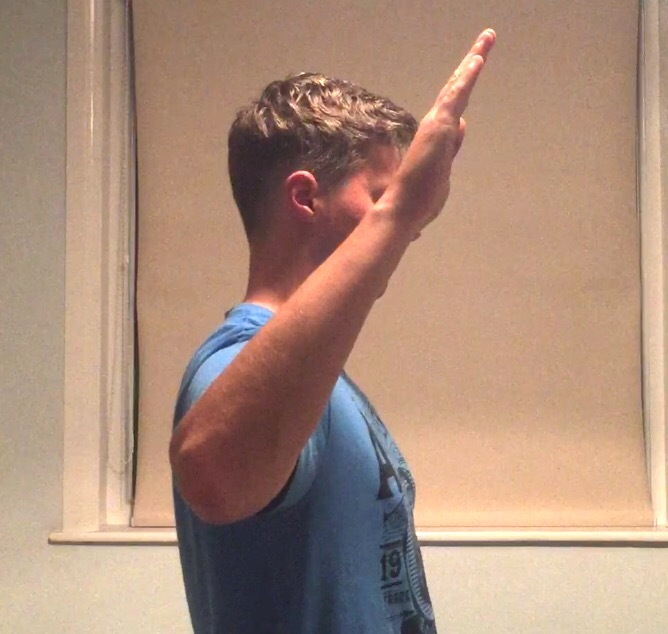 External rotation stretch – This stretch has helped me a lot, it shouldn’t be over-done to start with, work your way up to a deep stretch on this one. Holding the head of a golf club in one hand, spin it so the shaft is laying along your forearm. 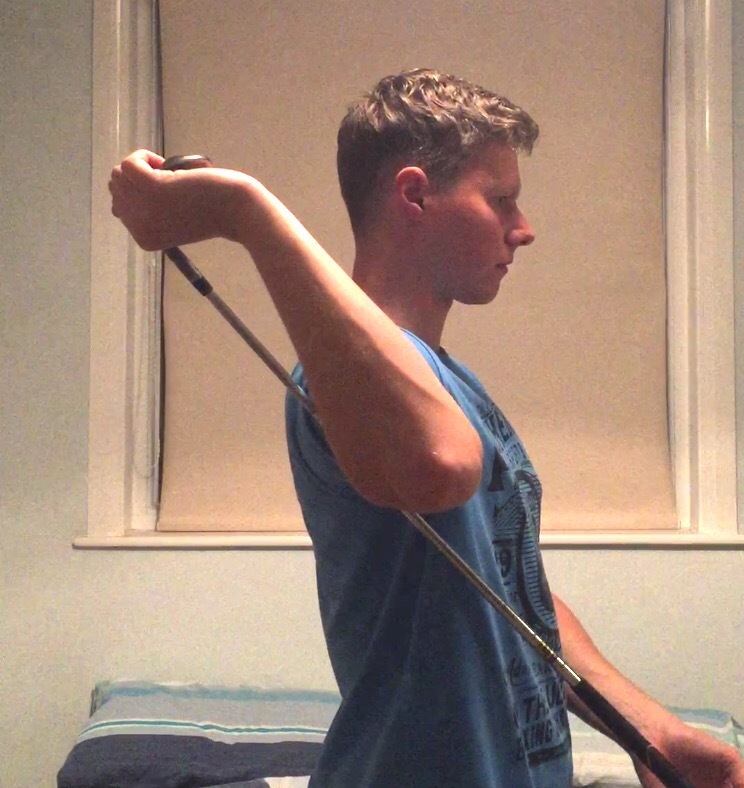 Now bring your arm up as seen in the example pic below, with your other hand, gently put pressure on the grip end of the club to feel a good stretch throughout the shoulder. 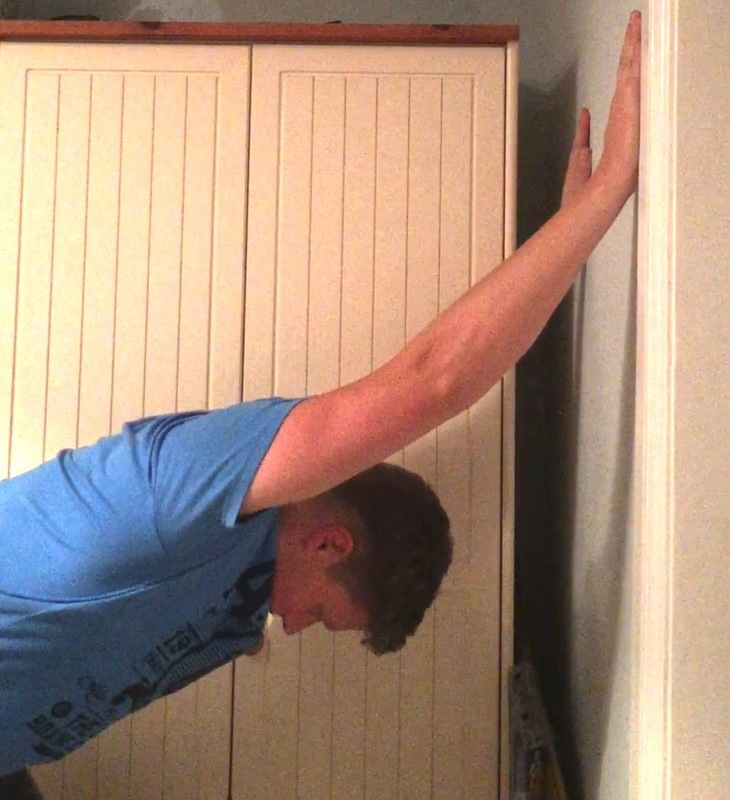 Lat & shoulder stretch – This targets the front of the shoulders and also the large Latissimus Dorsi muscles which, when tight, can contribute to poor mobility in the shoulders. 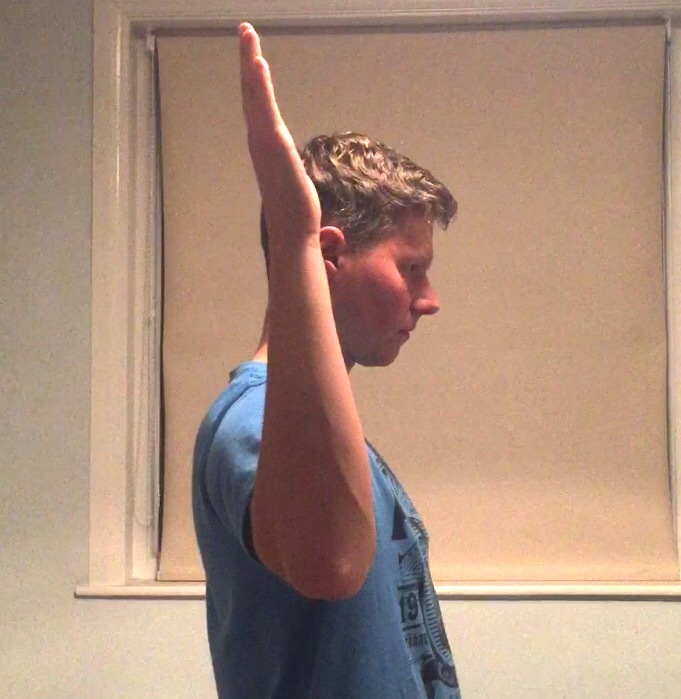 Simply place both palms on a wall infront of you and take a step back, leaning formards until you feel a nice stretch down through your shoulders and each side of your upper back. Biceps & chest stretch – This one is a killer if you are tight in the biceps and chest area! 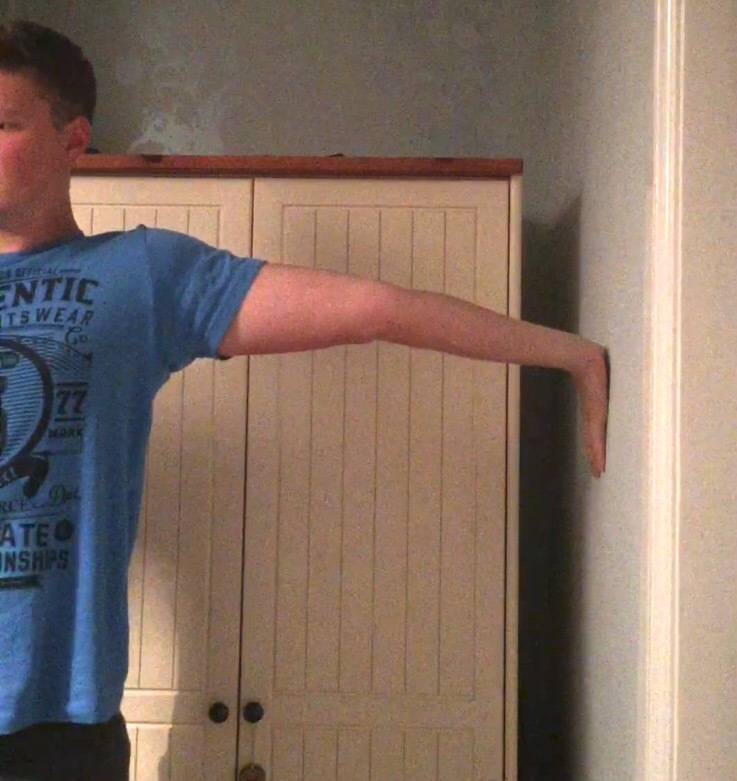 Standing side on to a wall, place your palm against it with your fingers pointing to the floor, the higher your hand on the wall, the deeper the stretch. The chest and biceps can internally rotate the shoulders when they are tight which impeeds shoulder mobility and hinders good posture in the golf swing in general. All of these stretches will help you to have a more healthy, mobile shoulder joint which should help you get into better positions in the golf swing. I usually do these after each workout session but they can be performed at any time and are a great way to warm up the shoulders before playing or practicing golf. If you have any requests for topics to cover or specific exercises / workouts then leave a comment below or on any of my social media. Subscribe to my newsletter to get great golf exercises, workouts, tips and motivation directly to your inbox! Also when you subscribe, I kick things off with a completely FREE Plyometric Power Home Workout pdf for you to make some swing speed gains with straight away! Click here to subscribe and get ripping those drives!